Enjoy stunning displays and help an important local organization in the process at this year's Holiday Light Show! For amazing holiday lights like no other, the Holiday Light Show is a must visit! As Christmas songs fill the airwaves and local townspeople are hard at work with decorating stores and sidewalks, it's guaranteed that the holiday season has arrived once more. 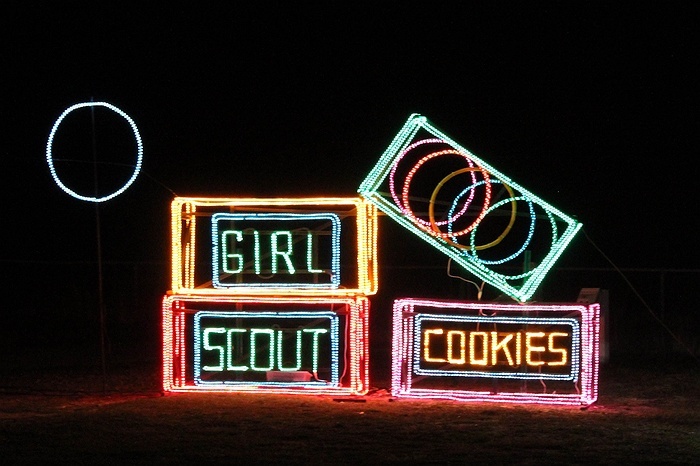 Among Long Island's most beloved festive activities is the Girl Scouts of Suffolk County's Holiday Light Show, which has returned for its fourteenth year. The show will be running every day (excluding December 24th and 25th) through December 30th, allowing all Long Islanders to appreciate what is surely the event's most impressive display to date! Located at Smith Point Beach in Shirley, the Holiday Light Show includes thousands of white and colored lights to create some truly spectacular displays. From local landmarks to favorite characters, each section on the path is lined with eye-catching surprises. You might see Santa Claus popping out of a chimney, ready to leave presents for all of the good little boys and girls. 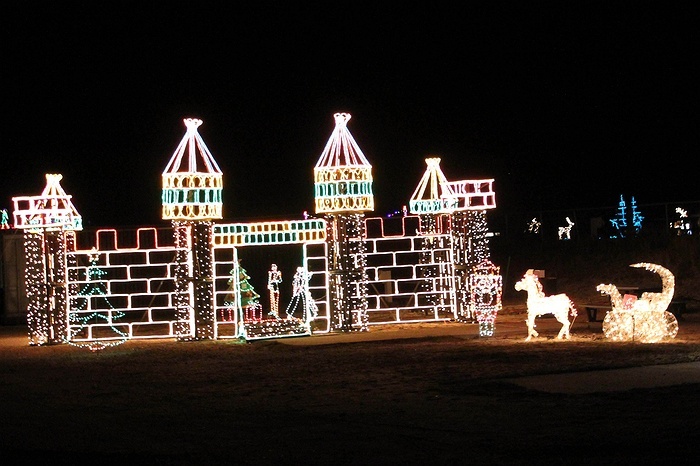 Your attention will definitely be drawn to an expertly-crafted castle, illuminated with more colored lights than one could possibly count. Or perhaps your favorite will be the Empire State Building, an aspect of the New York City skyline that has been recreated in Shirley. The show is well-known for its ability to blend cherished classics with exciting new displays, so the only thing to count on is that it will most certainly be impressive! Beyond the show's unrivaled displays, what really makes it shine brighter than the rest is the fact that all proceeds go directly to benefiting children. The Girl Scouts of Suffolk County provide children in underserved communities with access to important programs, unite with other organizations to provide unique learning opportunities, and allow children to develop social skills while completing group projects. 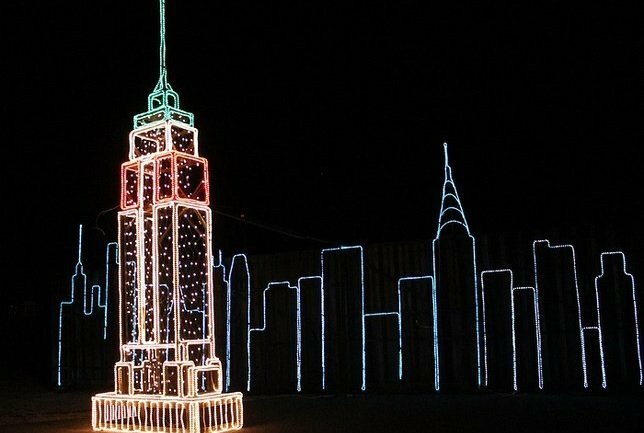 Additionally, funds from the Holiday Light Show will enable the organization to send children to summer camp at Camp Edey in Bayport and Camp Sobaco in Yaphank. Needless to say, attending the event will help spread the holiday cheer to far more individuals than just the members of your family. To visit the show, simply hop on the Long Island Expressway to Exit 68 and head south on William Floyd Parkway (Sunrise Highway to exit 58S will also get you there!). After that, all you have to do is travel over the Smith Point Bridge, follow signs for the Holiday Light Show, and prepare for a holiday experience like no other. The show accepts credit/debit cards only at the gate and pricing is determined by the vehicle ($20 per car, $40 per mini bus, $70 per coach/school bus). The first cars will be permitted in at 5 PM each day and closing times vary from 9 PM – 11 PM, so be sure to check the Girl Scouts of Suffolk County's official website for times before heading over. Preparing to visit the show or have an exceptional memory of a past year's? Share your experiences with us in the comments below! Subject: LongIsland.com - Your Name sent you Article details of "Celebrate The Holiday Season With A Trip To The 14th Annual Girl Scouts of Suffolk County's Holiday Light Show"